Betty Schlesinger Sembler of Treasure Island has dedicated more than three decades to fighting the war on drugs, starting in 1976 when she and her husband Melvin Sembler became founding members of Straight, Inc., a nonprofit drug treatment program that served 12,000 young people across the country. She also has helped shape national anti-drug policies through her work starting in the mid-80s with the White House Conference for a Drug-Free America and as a member of the Governor’s Drug Policy Task Force in Florida. 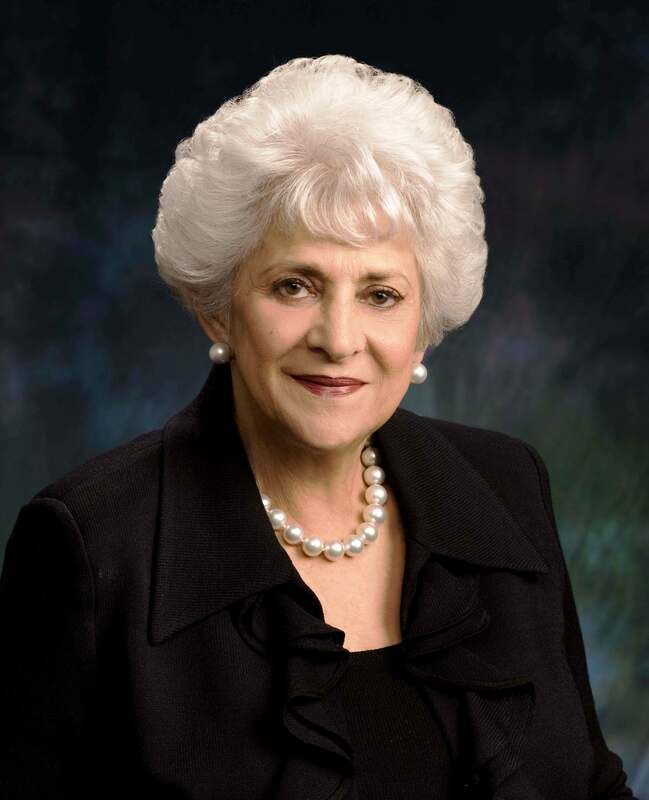 Betty Sembler also has served on the board of DARE Florida and DARE America, a national organization that provides anti-drug education to elementary and middle school students. She was vice chairwoman of DARE International and has campaigned against liberal drug policies around the world while traveling with her husband, who served as U.S. Ambassador to Australia and to the Republic of Italy. She is founder and president of Save Our Society from Drugs and the Drug Free America Foundation Inc., whose missions are to promote sound drug policy, drug free workplaces, high school and college student awareness programs, dissemination of scientific knowledge, establishment of drug free standards for the international community through The International Taskforce on Strategic Drug Policy and The Drug Prevention Network of the Americas. Betty Sembler has also served on the boards of the Florida Holocaust Museum, Florida Governor’s Mansion Foundation, the Florida House in Washington, D.C., and the University of Florida Brain Addiction Research Advisory Council. In May 2005, Mrs. Sembler was inducted as a special agent of the Drug Enforcement Agency and in March 2008, the Drug Enforcement Agency Museum Foundation presented her with its Lifetime Achievement Award in honor of her lifelong commitment to fighting drug addiction. Her efforts also have been recognized by The Houston Drug Free Business Initiative and the Girl Scouts of Suncoast Council, which named her a “Woman of Distinction” in 2000. Betty and Mel, her husband of 56 years, are the proud parents of three children and 11 grandchildren.